This vividly written, courageous book begins with a train journey that’s unexpectedly aborted long before its destination. 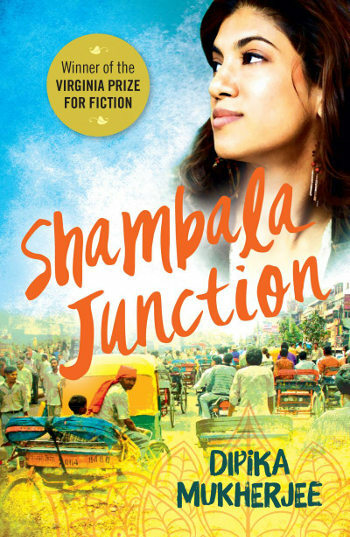 An American with Indian parents, Iris alights from her carriage at Shambala Junction at 2am, drawn by the sight of a doll-sellers stall. Left behind when the train resumes its route, she’s plunged into a terrifying situation. With little Hindi language at her disposal and only a small amount of cash, her only option is to trust the strangers who surround her. Spending a night in a slum was never on Iris’ ‘to-do’ list – through her eyes we experience the shock of poverty, and the discomfort of shamelessly leering eyes. More crucially, however, we enter into the crisis of the people next door, a couple with a missing baby Iris may be able to help recover. Alone without backup for the first time in her life, Iris reveals a vein of inner strength that she’s never suspected existed. For the first time in her life, without her father or fiancé by her side, she’s forced to draw on her own resources.